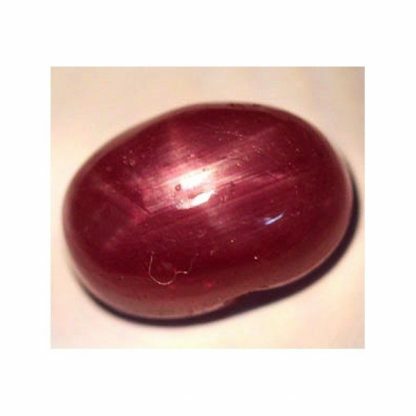 Genuine earth mined six rays star Ruby loose gemstone, that comes from Madagascar, Africa. 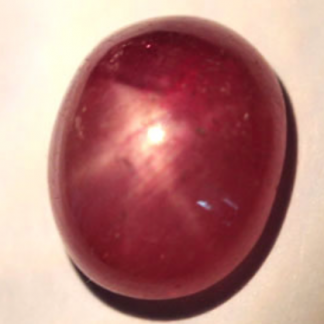 This red Star Ruby was shaped into an oval cabochon cut and display a nice asterism effect on the surface under direct light. 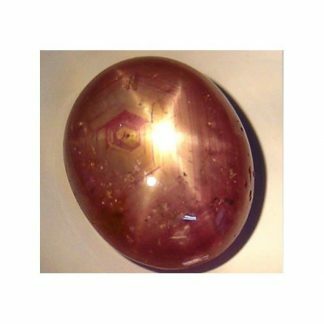 This natural red star Ruby display a beautiful six rays dancing star on the gemstone surface. 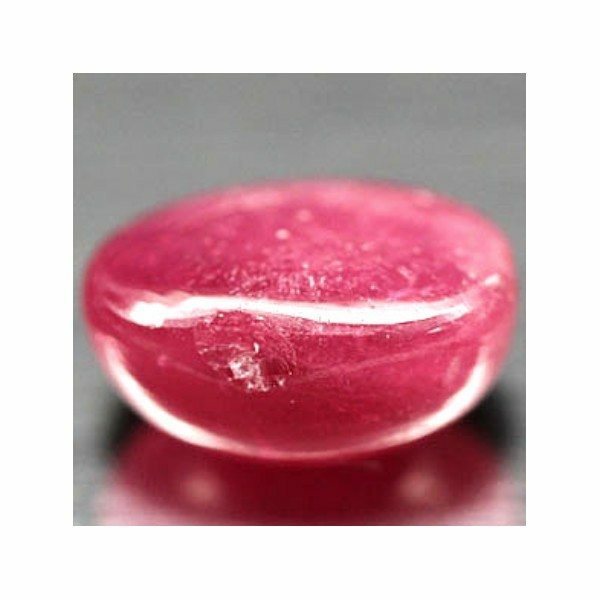 This Star Ruby gemstone present an intense red hue, medium color tone and strong saturation, translucent clarity with the typical parallel inclusions that causes the asterism effect. 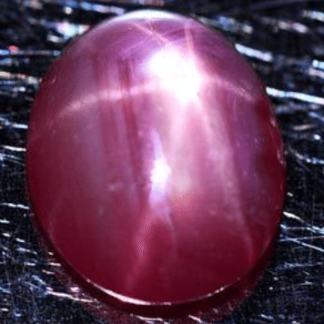 This red Ruby is treated by heat and probably with fracture filled, a common process for Corundums to enhance color and asterism optical effect. 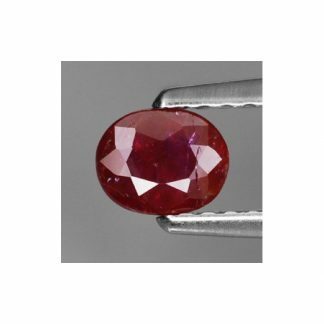 This red Star Ruby is a beautiful gemstone, perfect to be set into jewelry like a pendant or a ring. 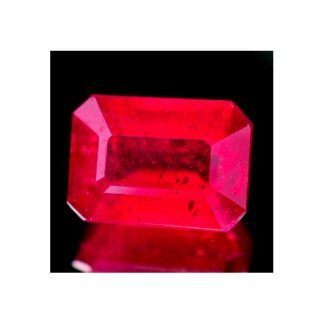 Dimensions: 8.9 X 6.4 X 4.9 mm.